GRAND RAPIDS, Mich. – Ahead of the Food and Drug Administration’s deadline requiring that all “restaurant-type” food items offered at grocery stores display caloric information, SpartanNash has decided to move forward with its menu-labeling compliance. The FDA rule applies to 83 Family Fare Supermarkets owned and operated by SpartanNash in five states, all of which were compliant as of the original May 5 deadline. In these stores, all individual-serve and “restaurant-type” prepackaged items now display the calories per serving information – with other nutritional facts like carbohydrates, fat and sugar available to store guests upon request. 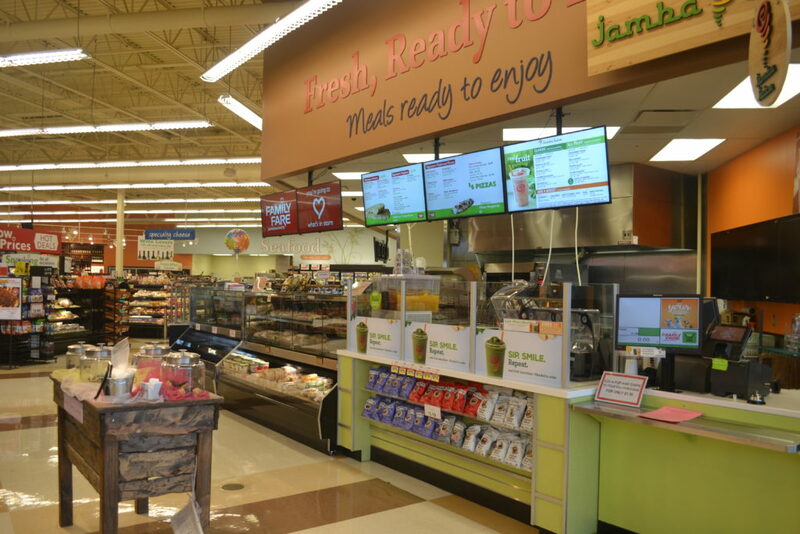 Digital menu boards have been installed in every Family Fare deli, giving SpartanNash the ability to update menu displays and caloric counts. To account for slight variations in recipes for hot items such as fried chicken, SpartanNash built and maintains an extensive ingredient database within the Family Fare retail stores’ recipe management system. The digital boards make it easier to update caloric and nutritional information, because they respond to in the ingredient database with real-time updates. Signs have also been placed in bakeries on bulk items such as donuts and rolls, as well as on build-your-own salad bars and grab-and-go fresh items like sushi, soups and sandwiches. In addition to the menu-labeling compliance, SpartanNash also offers a number of other ways for store guests to learn more about healthy food choices. The company’s three Regional Wellness Specialists – serving Michigan, Minnesota, Wisconsin and Nebraska – raise awareness and provide resources about nutrition and optimal food choices through in-store wellness activities like grocery store tours, cooking classes and healthy food sampling. The team also works with community partners, including healthcare systems, businesses and schools to promote health and wellness messages in SpartanNash stores and throughout the local communities.